When I pulled out this week's Pinterest Reading Challenge suggestion I wasn't sure what I was going to read. While I like learning and reading about true events, its not a passion of mine. Basically if its not a headline in the news or a topic of discussion on The Philip DeFranco Show (a YouTuber that Jack and I are huge fans of, as well as a big inspiration for me to start this blog! ), the likelihood of me finding out about it or learning more about it are very slim. This suggestion was definitely going to make me step out of my comfort zone and make me pick up something new and different. When I came across The Snowden Files: The Inside Story of the World's Most Wanted Man at the grocery store (I told you, I can't walk by that aisle of books either!) I knew this was the book for this suggestion. I remembered hearing about it a few years ago, but in all reality, all the tech jargon scared me away at the time of the headlines, so today I didn't know much about it. This was the time for me to push those feelings of being overwhelmed away, and learn something new. Edward Snowden is an American computer professional, former CIA employee, and former contractor for the United States Government who copied and leaked classified information from the NSA in 2013 without authorization. His disclosures revealed numerous global surveillance programs, many run by the NSA and the Five Eyes Intelligence Alliance with the cooperation of telecommunication companies and European governments. 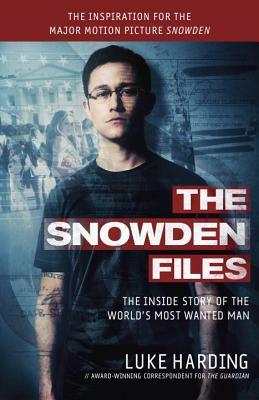 In 2013, Snowden was hired by the NSA after previous employment with Dell and the CIA. In May 2013, Snowden flew to Hong Kong after leaving his job at an NSA facility in Hawaii, and in early June he revealed thousands of classified NSA documents to journalists Glenn Greenwald, Laura Poitras, and Ewen MacAskill. Snowden came to international attention after stories based on the material appeared in The Guardian and The Washington Post. Further disclosures were made by other publications including Der Spiegel and The New York Times. The U.S. Department of Justice has unsealed charges against Snowden of two counts of violating the Espionage Act of 1917 and theft of government property. He then flew into Moscow's Sheremetyevo Airport, but Russian authorities noted that his U.S. passport had been cancelled and he was restricted to the airport terminal for over one month. Russia ultimately granted him right of asylum for one year, and repeated extensions have permitted him to stay at least until 2020. He reportedly lives in an undisclosed location in Moscow, and continues to seek asylum elsewhere in the world. What followed was the most spectacular intelligence breach ever, brought about by one extraordinary man. Edward Snowden was a 29-year-old computer genius working for the National Security Agency when he shocked the world by exposing the near-universal mass surveillance programs of the United States government. His whistleblowing has shaken the leaders of nations worldwide, and generated a passionate public debate on the dangers of global monitoring and the threat to individual privacy. 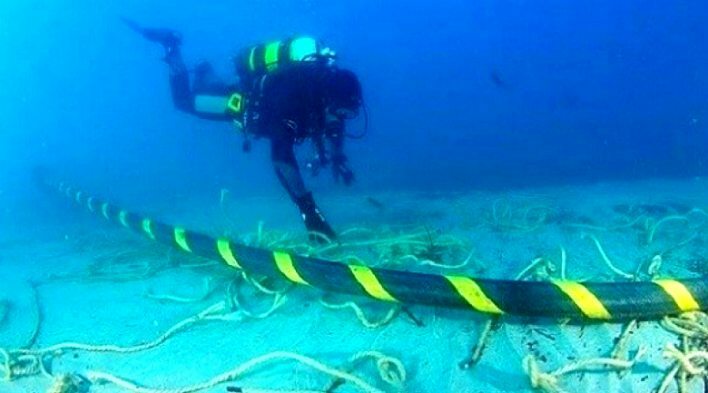 The Indigo subsea cable system is set to link Singapore, Indonesia and Australia. One of the last photos taken of my father, holding my nephew at Christmas 2004. Seven months before he passed away. A little personal side note for you: I love and miss my father very much (he passed away in 2005), but there were times when I really wondered about him. He believed there were other beings in the universe—I’m not saying that he’s wrong, I agree that the universe is far too large for there not to be. But he would stand in the front yard, looking at the sky, watching for any sign of them. Or at least this is what he would say, I was very young at the time and would have believed anything! He was also a bit of a conspiracy theorist. Always speculating about what the government could do. We were lucky to get him to carry his cell phone (this was before smart phones, mind you). And then when he would carry it, he wouldn’t keep it on his person; it was always in his metal lunch box, and when I say metal, I mean old school 1/8th inch thick, going-down-into-the-mines metal lunch box! No calls were getting through to that thing. If he would have read novels (he was more of a finance and technology reader, he would have loved The Snowden Files), he would have seriously enjoyed Dan Brown’s Robert Langdon series (Angels & Demons, The Da Vinci Code, etc. ), and would have believed and agreed with every word of them! Anyway, after reading The Snowden Files I have become a bit paranoid. I've been sitting at my computer before and have seen the camera light come one for no particular reason for me to only freak out or to see it go off a couple seconds later. I never truly understood what that little green light could mean until after reading this book. Even while editing this post I have had the most difficult time trying to get it edited without it coming up saying that "the item being edited is missing" or that "there was an error while editing". I won't be surprised in the least if this post shows up missing one day. "If governments, officials and spy chiefs wanted to kick newspapers, that was their prerogative. But they should consider what the next leaker might do in the absence of professional journalist outlets. He or she might just dump everything out on the uncensorable worldwide web. 'Be careful what you wish for,' the [Guardian] editor warned." And with that I'll leave you with one last quote and you can make up your own mind about the situation, I know I have. "There have been times throughout American history where what is right is not the same as what is legal. Sometimes to do the right thing you have to break the law." From one wine-loving bookaholic to another, I hope I’ve helped you find your next fix. Love this book? 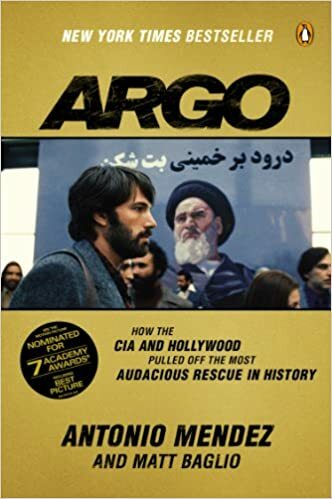 Check out Argo: How the CIA and Hollywood Pulled off the Most Audacious Rescue in History by Antonio Mendez and Matt Baglio. Pair it with: Glenfiddich 18-Year-Old Single Malt Scotch Whisky—With a rich aroma of ripe orchard fruit, baked apple and robust oak, this scotch whisky delivers a luxurious taste of dried fruit, candy peel and dates; overlaid with elegant oak notes with a warm finish. When I think of Edward Snowden having a drink, in all reality I think he would probably be more of a Coke-a-Cola kind of guy. Possibly a Monster Energy drinker, but I don’t really think of him as someone who drinks much alcohol. However, this book made me want to drink a nice scotch; something with an elegant flavor, and something to help me forget all the scary details of how my privacy could be invaded. The Glenfiddich 18 Year did just that. Start a conversation: What are your thoughts on the U.S. government (and other governments) using the internet and our phones to spy on terrorists as well as everyday citizens?